It was a 1599 Persian delegation to Europe, the men sporting the high-heeled riding boots that Central Asian archers used to stabilise themselves in the saddle as they snapped their bows, that led to the European rage for all things Persian, and very soon the 17th-century cockalorum was proving his right to a life of luxury by disporting in a pair of utterly impractical high heels. The Sun King Louis XIV was perhaps the most enthusiastic convert to the heel, but then he was just 1.63 metres tall in his stockings. Women followed suit, but with the Enlightenment came the withdrawal of men from the ranks of the heeled, while the fetishization of women’s footwear proceeded apace. 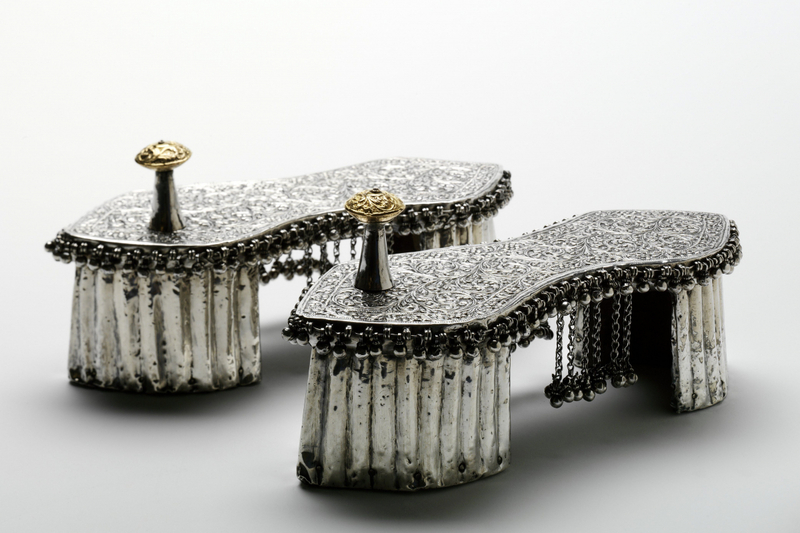 From “red bottoms” to the spike heel or the Japanese geta, footwear across the ages has managed to inspire a special kind of fetishism in fashion. Now at Pacific Place, the London Victoria & Albert’s exhibition Shoes: Pleasure and Pain is getting hearts racing with a vast and diverse collection of fascinating and often bizarre footwear from around the world. Curator Helen Persson has divided the exhibits into five sections: Transformation, Status, Seduction, Creation and Obsession, as the collection shows hitmakers from well-known brands such as Salvatore Ferragamo, Jimmy Choo and Yves Saint Laurent as well as pieces that belonged to David Beckham, the Queen Mother and Elton John. Local star Karen Mok loans 14 pairs from her own collection to add a sprinkle of Hong Kong glamour. Shoes: Pleasure and Pain by Swire Properties and Victoria & Albert Museum runs at Pacific Place until October 28, 2018.